The treaty negotiations took days to complete at Fort Carlton. There was much debate and discussions that took place with the First Nations participants, but the Queen’s representatives were eager to conclude the deal with the First Nations. During discussions, Gov. Morris reassured the First Nations that their way of life and survival would not be disturbed and guaranteed well into the future. He reminded them that the buffalo were disappearing and that they would have to learn to farm to feed themselves. 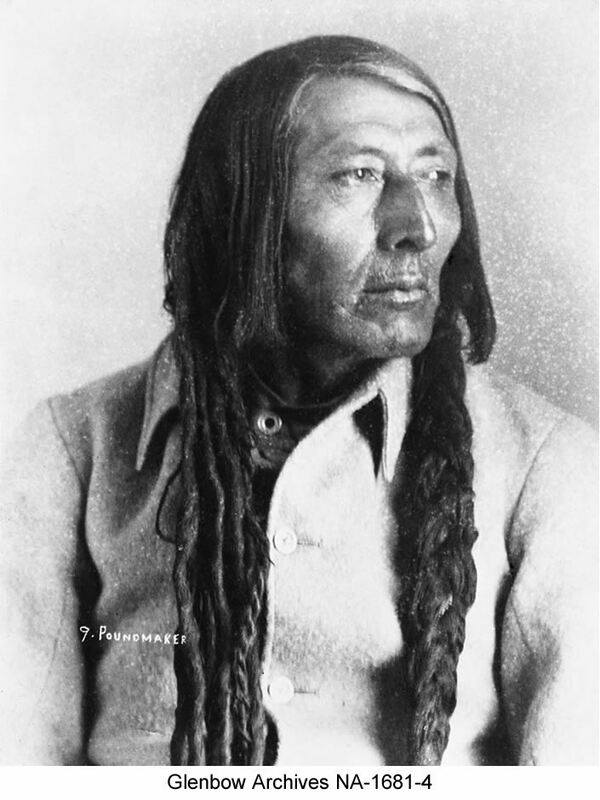 He said that the land set aside for their reserves would be held in trust by the Queen, “one square mile for every family of five.” Poundmaker, a Councilor from Red Pheasant’s band, stood up and protested, “This is our land, not a piece of pemmican to be cut off and given in little pieces. It is ours and we will take what we want.” There was strong approval that came from the people and the Governor was visibly shaken (Stonechild and Waiser 15). Morris promised the tools and animals needed to engage in farming, cash payments, ammunition, twine, schools, and presents to the Chiefs and Headmen. There were a lot of doubts and heavy conversations among the First Nations, they were not convinced that this new way of life would be able to sustain them into the future. A representative from Chief Beardy’s group suggested they “rent” the land while others suggested they refuse the Treaty altogether. It was a tough decision to make. The First Nations were a proud and strong people but were facing an uncertain future. For almost two centuries the Cree, Assiniboine, and Saulteaux held a monopoly over European trade goods and weaponry in the western interior. They created an “iron alliance” that enabled them to expand across the northern plains. They still controlled the territory and to trade their land for an uncertain future would be an admission of defeat (Stonechild and Waiser 16). Although there was much dissension from a number of First Nations, it was Ahtahkakoop and Mistawasis who asked the representatives of the Crown what they could offer the people if they did not agree to Treaty. They agreed with much of what was being said, however, they wanted to ensure their survival, and that the Great Queen Mother would look after them. Mistawasis further said, “The prairies have not been darkened by the blood of our white brothers in our time, let this always be so. I for one will take the hand that is offered.” Ahtahkakoop supporting his fellow Chief and said, “Let us not think of ourselves but our children’s children, let us show our wisdom by choosing the right path while we yet have a choice” (Stonechild and Waiser 17). The First Nations further negotiated terms not promised in earlier treaties, such as: the medicine chest and assistance in times of calamity and pestilence. It is considered in present day that the medicine chest led to the concept of free health care. There was much discussion around the term of “calamity and pestilence”. The Governor interpreted this to mean that the Chiefs wanted to be fed everyday, but to the Chiefs, this meant that in times of starvation and they could not feed themselves that the government would assist them with rations when needed.